One of the best parts about traveling with Kelly Tours is that the driving is in capable hands, leaving you free to sit back and enjoy the ride. With comfortable plush seating, free WiFi, and an on-board DVD player, you could easily catch up on your favorite shows or finally get to watch that movie you’ve been meaning to see. A long bus ride is also the perfect time to curl up with a good book, and our reading lights make sure you won’t bother your seatmate while you get lost in the pages of a new adventure or old favorite. 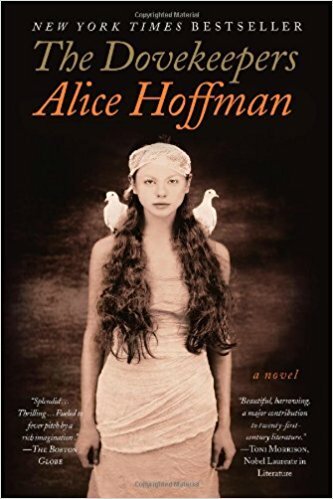 Set in ancient Israel, The Dovekeepers is Alice Hoffman’s most ambitious and mesmerizing novel. Hailed as her masterpiece, The Dovekeepers seamlessly weaves the stories of four complex and fiercely independent women as their lives intersect during the desperate days of the Roman siege on Masada, a mountain in the Judean desert. According to the ancient historian Josephus, nine hundred Jews held out for months against the Roman army – and only two women and five children survived. Each woman has come to Masada by a different path. Yael’s mother died in childbirth, something her father, an expert assassin, can never forgive her for. After witnessing the brutal murder of her daughter, Revka escapes to Masada with her grandsons, who have been rendered mute after what they witnessed. Raised as a boy for her own safety, Aziza is a fearless rider and expert marksman who falls in love with another soldier. Shirah, born in Alexandria, is wise in the way of ancient magic and medicine. They are all dovekeepers, and they are all keeping secrets. You’ll be glad you picked up this spellbinding tale of love, loss, and perseverance against impossible odds. If you’re looking for a book with a deep and profound message – this isn’t it. If you’re looking for a quick read that’s pure entertainment and filled with sharp wit, this is the book for you. 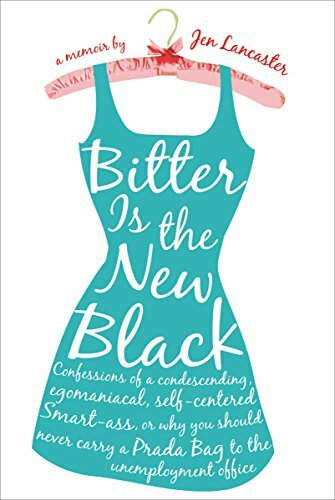 Bitter is the New Black is the story of how Jen Lancaster, a haughty former sorority girl, went from having a household income of almost a quarter-million dollars to being evicted from a ghetto apartment. Jen Lancaster had it all – perfect husband, perfect job, penthouse apartment – but after a corporate layoff in 2001, this smart-mouthed woman found herself selling off cars, jewelry, and designer purses. She began detailing her descent from designer cloth and spa visits to the unemployment line on her website, jennsylvania.com. That blog turned into Bitter is the New Black, an in-depth look at a woman who was too busy being manicured, pedicured, and highlighted (in-between shopping trips, of course), to notice disaster was about to strike. The book is filled with her sharp wit and, often mean spirited, tongue-in-cheek responses that give you just the slightest bit of satisfaction to know that real life kicked her to the curb. Now a New York Times bestselling author of nine memoirs (plus five adult novels and one YA book), Jen Lancaster has proven she has staying power as a writer, and you’ll be glad you decided to go along for the ride. Please note: This book does contain curse words and language that some may find offensive. Are you ready to see your fixer-upper? 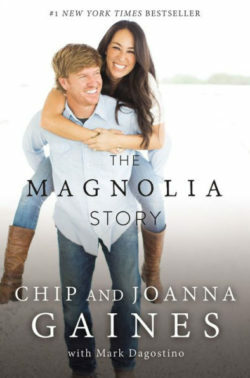 The phrase is now synonymous with the dynamic husband-and-wife team Chip and Joanna Gaines, stars of HGTV’s Fixer Upper. The Magnolia Story is the first book that provides a detailed look at their lives before the hit TV show, from the very first renovation project they ever tackled together, to the project that nearly cost them everything. Full of fun and quirky stories of their experiences tackling renovation projects while growing their family, The Magnolia Story is a light, quick read perfect for a couple hour bus ride. Filled with reflections and Joanna’s gems of design (and life) wisdom, fans of the show will finally have answers to some of their most asked questions, like – Is Chip actually that funny in real life? What’s their secret to success? And how does Joanna do it all without pulling her hair out? Their story of financial ups and downs, Joanna’s agonizing decision to close her dream business to focus on raising their children, and how they landed their big TV break are just some of the tales that await you. Brought up a strict Mormon, Mark Hoffman is notorious not just for deceiving the Mormon church, but for creating a ‘previously unpublished’ poem by none other than Emily Dickinson. Hofmann learned from the early age of 14, when he was able to deceive the US Treasury by changing a mint mark on a historical Mormon coin transforming into a rare coin worth thousands, that he could twist reality and confound experts. Using his profession as an historical book dealer, he forged religious documents that undermine the Mormon faith and then sold them to the Mormon church, which was desperate to conceal the writings. Emboldened by the ease of his success, Hoffman wove a tangled web of deceptions that culminated in the murder of two people. 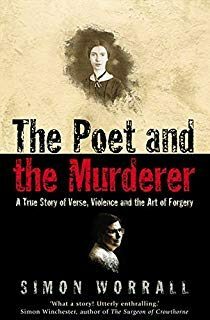 An unforgettable and gripping tale, The Poet and The Murderer takes readers on an adventure where corrupt auction houses, small-town life, and a reclusive poet are only part of the story. Acclaimed journalist Simon Worrall delivers a suspenseful page turner on one of the most daring literary forgers and remorseless murderers of the twentieth century. 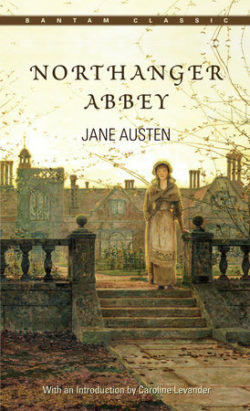 Published posthumously in 1818, Northanger Abbey was Jane Austen’s first novel. A wonderfully entertaining coming-of-age story, Northanger Abbey is the story of Catherine Morland and her dangerously sweet naivety and the scrapes she finds herself in while vacationing in Bath with a family friend. While there, she meets and befriends Eleanor Tilney and her brother, Henry, whom she develops feelings for. When she’s invited to visit their family estate, Northanger Abbey, Catherine’s interest is piqued. A great reader of Gothic thrillers, she lets the shadowy atmosphere of the old mansion and their tyrannical father fill her head with terrible visions. The most light-hearted of Austen’s novels, Northanger Abbey is a tale of young love, false friendships, and the heady power of literature. Even if you’ve already read it, you’ll fall in love all over again with Austen’s unlikely heroine and tale of adventure, love, and ultimately the heady power of literature. What better time to revisit an old favorite than while on your way to a new adventure? We love having a good book to read when we’re traveling, and we hope you’ll find one (or two!) that interest you on our list. We’d love for you to share your favorite books with us in the comments. Ready to plan your next adventure? Find a trip to join or start planning a custom trip today!